The Palaszczuk Labor Government must finally come clean and release the expert panel review into the Child Safety Department’s handling of Mason Lee prior to his death. LNP Shadow Minister for Child Safety Ros Bates said Shannon Fentiman must make good on her promise to release the Child Death Review Panel report into Mason Lee in January 2017. “Last November, Shannon Fentiman looked Queenslanders in the eye and promised to release the review this month,” Ms Bates said. “There are three days left until the end of January and still no sign of the report. The clock is ticking – what is the Minister waiting for? 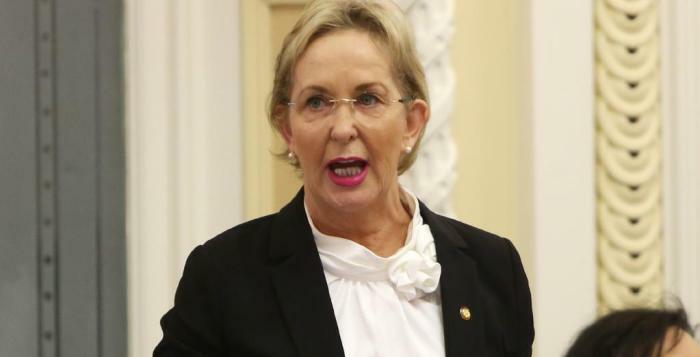 Ms Bates said this week’s release of the September data clearly showed that Child Safety’s performance had plummeted to dangerously low levels under Labor and children were suffering. “Shannon Fentiman should be horrified that 11 per cent of the most critical cases requiring a 24-hour response aren’t being seen to on time,” she said. “On top of that, 74 per cent of at-risk children who should be seen within the recommended 5-10 day period are also being missed – this just can’t go on. “Queensland is now the second worst performing state in Australia – we’re even behind South Australia where there was a Royal Commission into child safety. “We know from the leaked October data that the story only gets worse, with almost 4,000 cases of suspected child abuse being stuck in backlogs across the state.